Get both Mah Jong Quest, the epic tale of tile matching, and Jewel Quest, the addictive award-winning adventure game, for one low price! 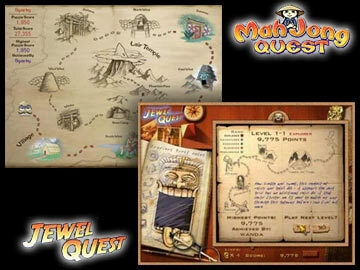 Experience a new generation of gem matching with Jewel Quest. 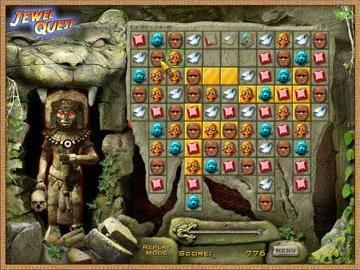 You are on an adventure through perilous Mayan ruins, rearranging jewels and artifacts to turn sand into gold. Dozens of mind-bending puzzles will keep you playing deep into the night. 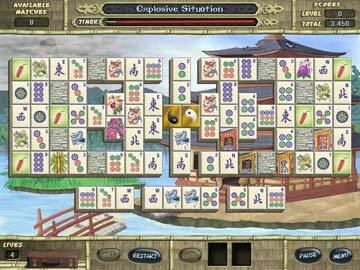 Mah Jong Quest is more than an addictive update of the classic game. After three dragons wreak havoc, you must help young Kwazi use an ancient set of Mah Jong tiles to restore balance to the empire. 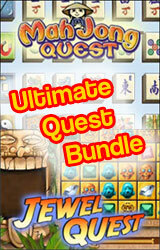 Get the Ultimate Quest Bundle: Jewel Quest & Mah Jong Quest!